Evelyne Dioh has over 10 years experience as an investment professional with a particular focus on business strategy, financial reporting and financial analysis in emerging markets. Rasmus Andersen is passionate about entrepreneurship, broad-based growth and political accountability in emerging markets, especially using new technology and data analytics. 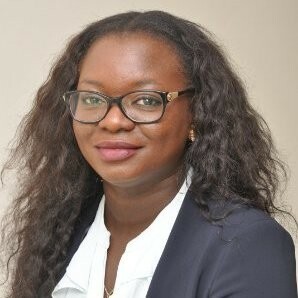 Nadia Ahidjo-Iya is a development professional with a background in project management, strategy development, and stakeholder relationship management. Timothy Kotin is a technologist and entrepreneur passionate about overcoming challenges of global scale and relevance through cutting-edge technologies, effective policy and innovative business models.